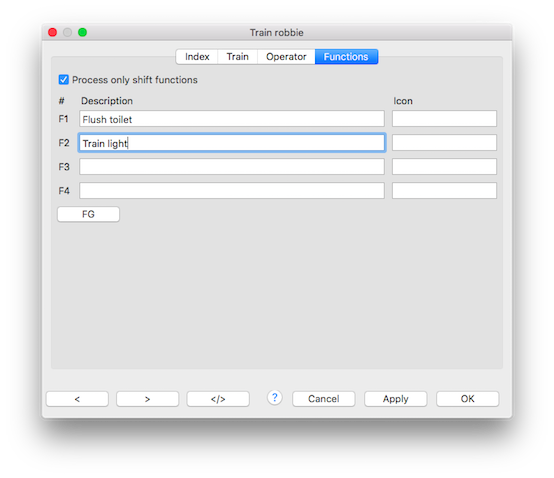 With this option active the normal dispatched loco function will be rejected. With the shift, ^, button activated the train function text/icons are displayed in the loco throttle. Shift functions are only send to the train and not to the loco decoder.